After landing in Dubai, you need to find a place where you can reside in. There is a good number of living options in Dubai. The city houses some extraordinary hotels and resorts which offer comfortable and classic lodging. Once you find a hotel or room according to your requirement, then unpack your luggage and take some rest because we have something really exciting and fascinating for you on how to spend your first day in Dubai. Planning a trip with family or friends to Dubai is almost a mini-adventure in itself, such is the assortment of this amazing, thrusting desert conurbation. There are numerous opportunities for entertainment and adventures in this highly adventurous city. In order to have a wintry experience in this monumentally hot city where you can easily get up to 45C temperature, visit to Wild Wadi Water Park in Jumeriah, a complete haunting adventure which offers hours of fun and pleasure along with your friends and family. With 24 rides and other amusement opportunities, you will be entertained with nonstop waterborne movement. The park is fully equipped with thrills and spills for children and youngsters. It is an awesome place for the visitors to have fun in an unperturbed atmosphere along with all the amenities of urban lifestyle. 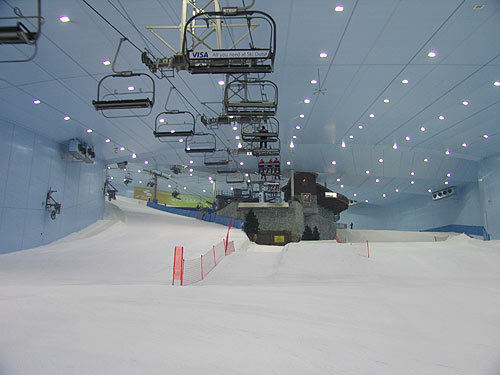 After having an exotic and gasping experience at Wild Wadi Water Park, head towards the Mall of Emirates, put your snow boots on and enjoy the fun of snow skiing at Ski Dubai which is located inside the mall. Whether you are a youngster or you have gray hair, there is something for everyone. 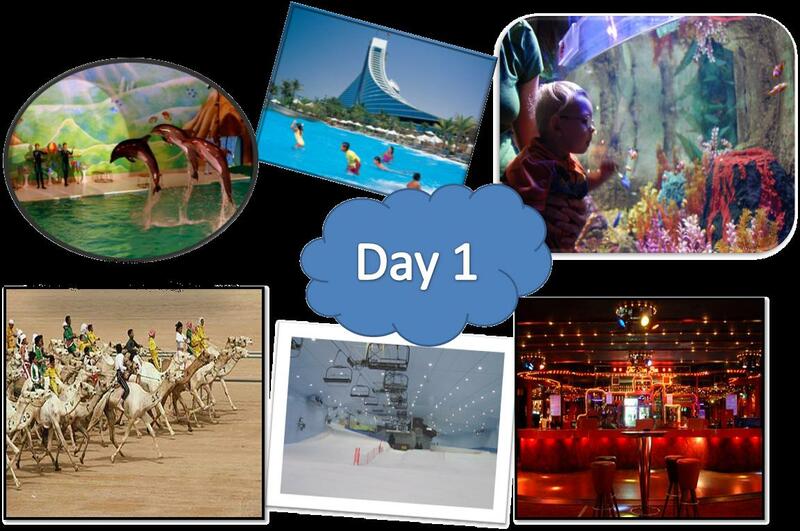 It is an awesome mountain-themed destination that offers an unbelievable opportunity to enjoy snow in the desert. Well, the party is not finished yet and there are other mesmerizing opportunities for fun and amusement, still left to explore. Drive to the Dubai Mall which is located in the downtown area of the city. It is only a 22 minutes drive from the Mall of Emirates. Dubai Mall is a great place for shopaholics, but apart from shopping there are numerous entertainment activities for the visitors inside the shopping mall. One of them is Dubai Aquarium & Underwater Zoo. It is the largest reservoir of water and is rewarded the Guinness World Record for the world’s “Largest Acrylic Panel”. 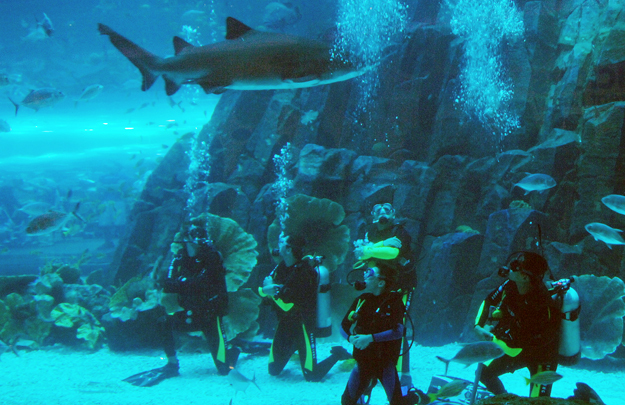 Dubai Aquarium & Underwater offers an amazing array of unprecedented leisure adventure experiences for visitors which includes crocodylia, glass bottom boats, cage snorkeling, shark dives and much more. You will certainly have an awe-inspiring experience at this wonderful place. I am sure you are not yet down in the dumps and you want some thrilling experience in this desert city. So here is something extremely enthralling and intriguing for the tourists who are planning their visit Dubai in the winter season. 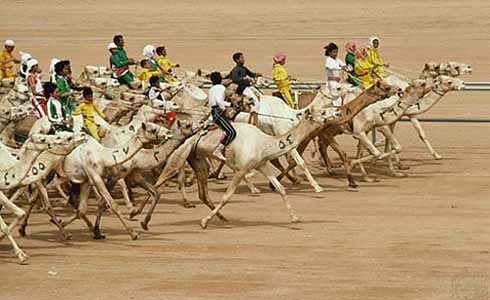 Camel racing is yet another attraction and is one of the traditional sports of Arabs. It is a highly competitive event that takes place every year from October to April, so a must see if you visit during this period. It is certainly a rare sight and a pleasure to watch these camels fanatically competing against one another and trying to overtake the other. The most interesting part of the show is that the camel who wins the race is bought by a sheikh in thousands of Dirhams. Therefore if you are planning to visit Dubai then do experience this unique race and carry the memories of this terrific event. If you are travelling with your family, then Dubai Dolphinarium is a must visit place. Located near to Creek Park and Children’s city, Dubai Dolphinarium is a remarkable venue for family entertainment and you will be able to meet the most beautiful species like dolphins, seals and other sea creatures. 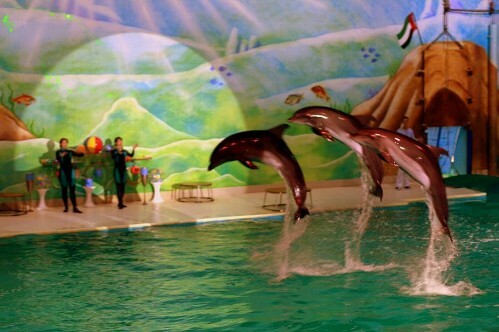 The loveliest attraction of the Dubai Dolphanarium is five bottlenose dolphins which entertain the visitors with their spectacular performances. You can also swim with the dolphins and have real fun with them in a gracious environment. Moreover, the comical gestures of the fur seals certainly bring an easy grin on the audience’ face. All in all, this amusement centre is a complete package of fun and entertainment. After spending a whole day with full vivacity and ecstasy, you want a place where you can dine in and satiate your hunger. There are a good number of restaurants in Dubai where you can find scrumptious International, Asian and Arabic cuisine. Besides that, there is plenty of nightclubs & bars in the city for party revelers that offer sizzling and electrifying ambiance. 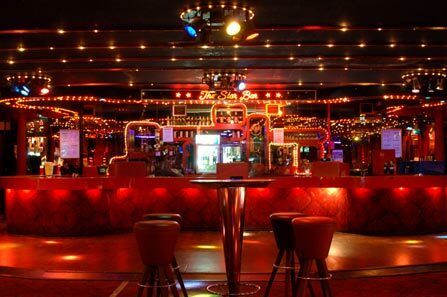 These nightclubs offer variety of services including dishing up food and drinks along with stirring dance floors. After having a wonderful day and an unforgettable experience in the city, the entertainment is not finished yet because we have a second day plan for you as well.